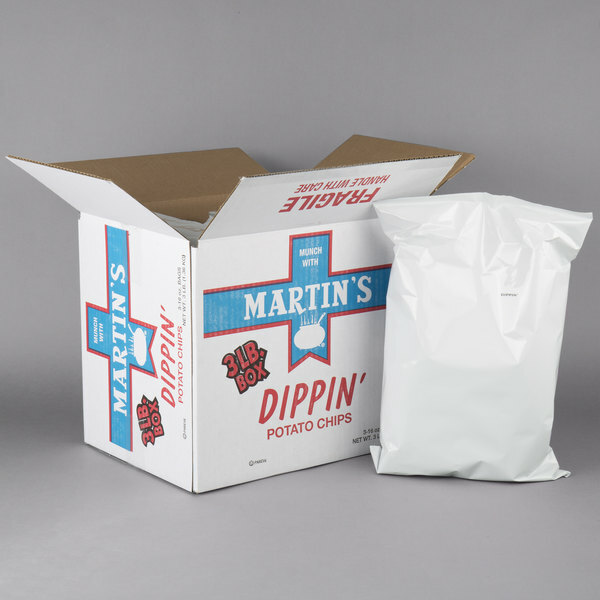 Martin's Dippin' Waffle Cut Potato Chips - 3 lb. 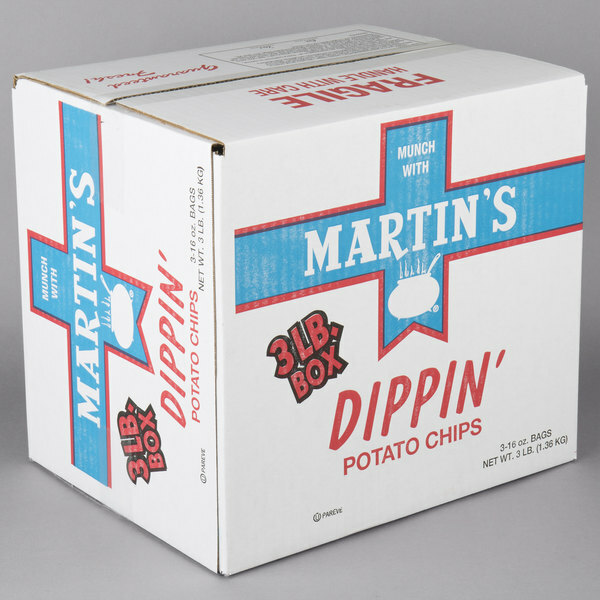 Add a tasty side to any meal with these Martin's dippin' waffle cut potato chips. These waffle cut potato chips are made from the highest quality potatoes to give them the best flavor. With perfection in mind, Martin's makes these potato chips thicker than other varieties for the best crunch bursting with natural potato flavor. 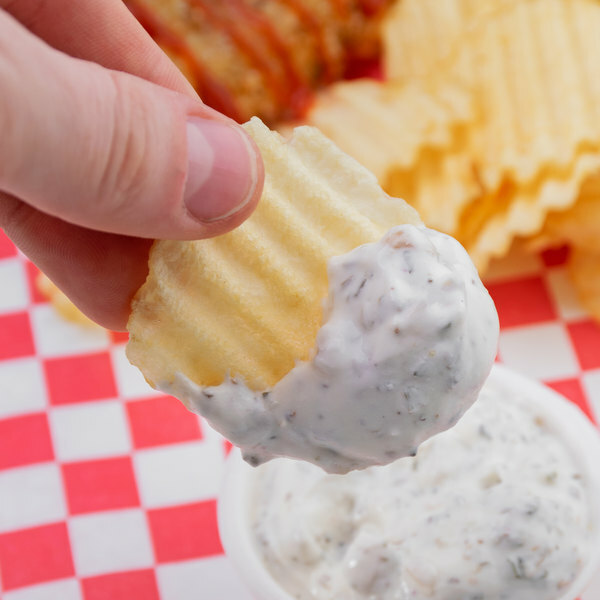 Being thicker than other potato chips makes them perfect for use with chip dips. Its waffle cut and thickness make it perfect for scooping up ranch dip, cheese dip, or spicy buffalo chicken dip! These waffle chips are then sprinkled with just the right amount of salt to complement their perfect potato flavor. 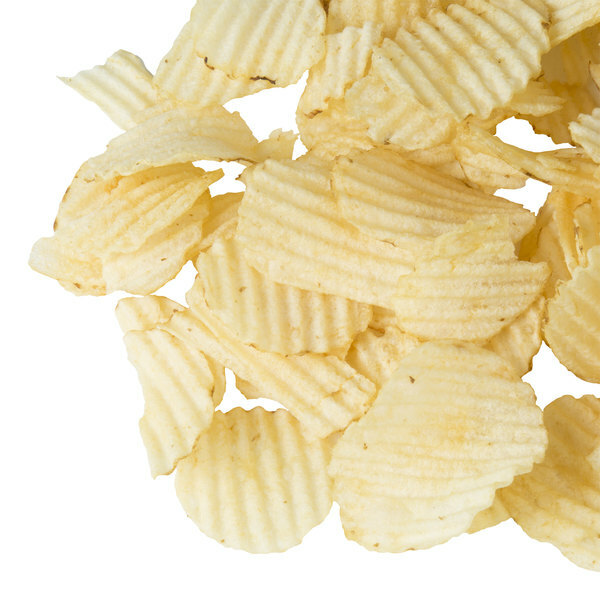 Additionally, this waffle cut chip is the original style potato chip that Martin's has been making since their beginning in 1941. 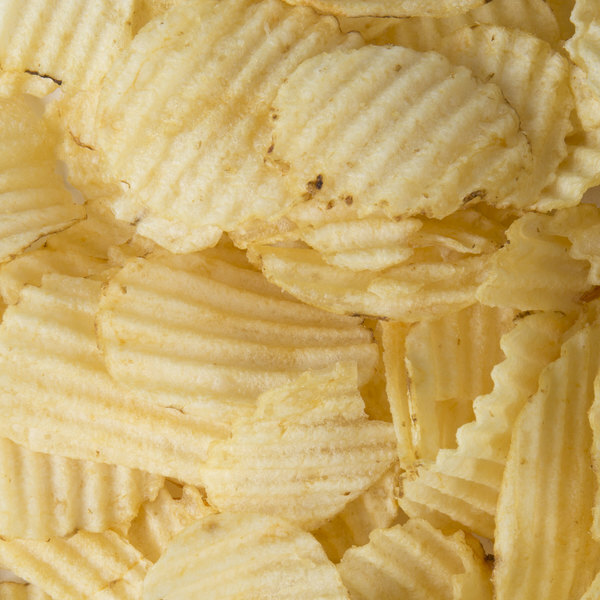 Potato chips are a great addition to hamburgers, sandwiches, soups, and even entrees! Simply add them to the plate just before service for a quick and profitable addition that your patrons are sure to love. Each 3 lb. box has three individually sealed bags of potato chips to make sure they stay fresh in storage. This box also helps protect the chips from damage during shipment. Made in the heart of Amish Country, Martin's is a renowned producer of delicious snack foods. Not only does Martin's believe in producing high quality snack foods that are fun to eat, they're committed to being responsible stewards of the Earth. The leftover waste from production is reused as animal feed, soil amendment, or fertilizer while used cooking oil is sent to a rendering plant for reuse in other products. Furthermore, their plant facility is a model of efficiency. This includes many energy saving features such as the ability to using the heat from the fryers to heat the building in the winter, motion sensor lights, and use of clean burning fuels to heat the fryers. When you buy a Martin's product, not only will you receive a flavor packed snack food, you'll have bought from a company committed to responsible usage of the Earth's resources.